commercial building or public space, and are required by law in many places. 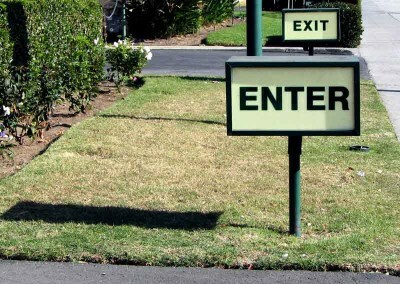 We make standard exit and enter signs as well as we manufacture custom projects. 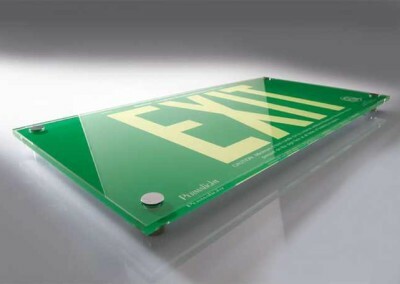 Need enter/exit signs for your business? Certain signage may be required by law according to city codes. 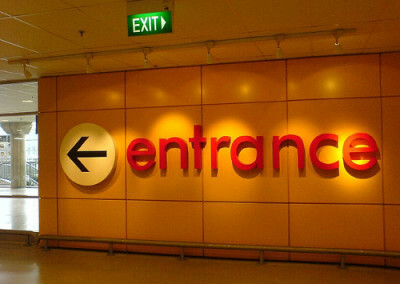 Enter and Exit signs are great examples of signs that may be required in your business. Along with being required, they also provide navigation for your customers to avoid any confusion while in your business. These signs can also be useful in some parking lots where distinct enter/exit paths may be necessary. 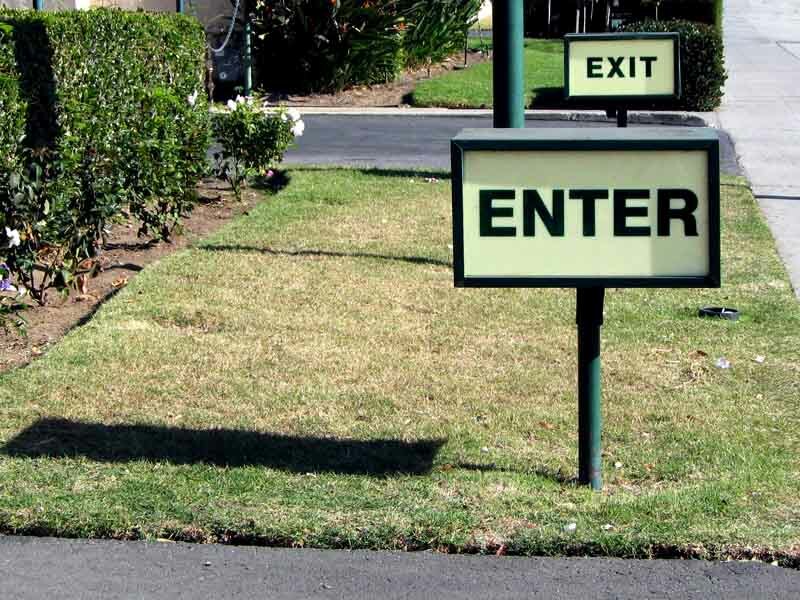 Our exit and enter signs can be made using various materials to ensure they match the look and feel of your business’ aesthetic, style, and brand. Whether you want basic enter/exit signs or custom signage, we’ve got you covered. We can also make backlit signage if you’d prefer. 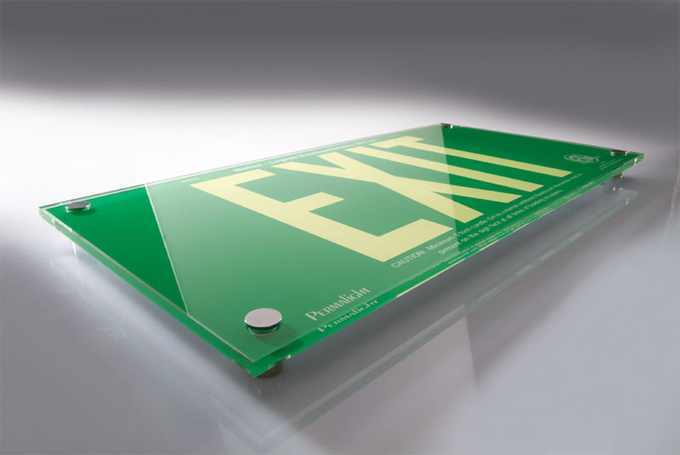 For more information regarding our enter/exit signs please contact us today. 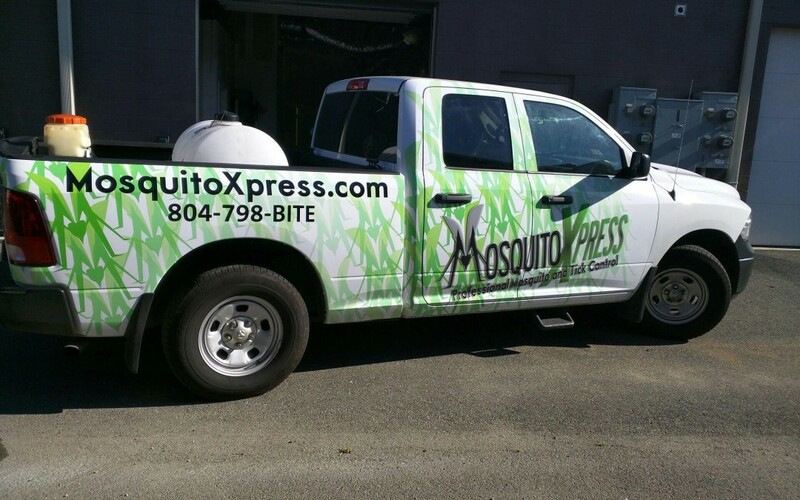 We can be reached by email at info@toucansigns.com or by phone (840) 749-4000. You can also use our quote form for a free quote. We look forward to hearing from you, and helping you reach your marketing goals.